Below are some nice newspaper ads for “Jumbo” starring Doris Day and Stephen Boyd when the movie was released in December of 1962, and a few funny stories about the filming of the movie in early 1962 at the MGM Culver City Studio. The film was so big that it covered two enormous lots and two large stage sets at MGM! “MGM hasn’t seen anything like it since the Circus Maximus – if then. “Billy Rose’s Jumbo” (as they are calling it now) is all over the place…The elephants are housed on Lot 2; so are the horses being trained for Doris Day…The picture is spilling all over the sprawling Culver City studio. The main tent has been erected twice–on Lot 3, about a mile from the studio proper measuring 130×180 ft, and capable of seating 2,000 people, and on Stage 15, MGM’s largest. Here the actual circus acts, some 50 in number, will be shot, and here Miss Day Stephen Boyd and others will perform on trapeze and tightrope. The big top on Lot 3 is surrounded by a menagerie, a mess tent, a wardrobe tent, wagons, and a sideshow, complete with a merry-go-round. Still another stage, 29, will be utilized for filming the close-up dramatic scenes. 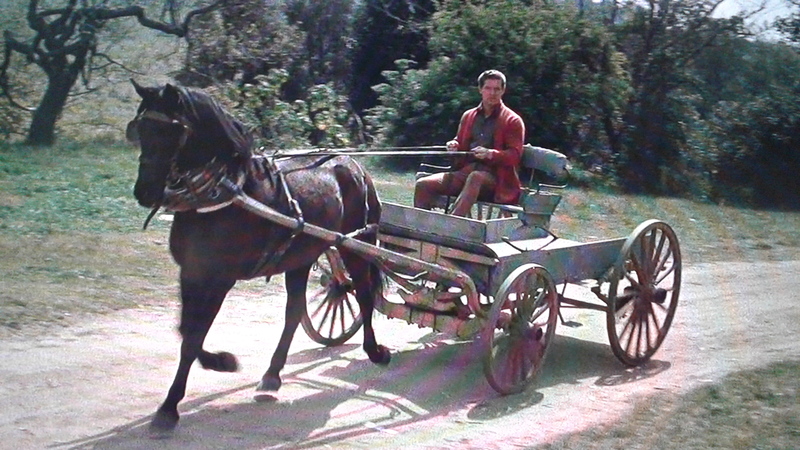 < Previous Stephen Boyd, a Rolls-Royce and a Chariot!